We would like to say a big ‘thank you!’ to Wallop Primary School for all their support in raising money for our chosen charity, Riders for Health. We visited the school before we left, to tell them about our trip and share something of what we might learn as we travel. 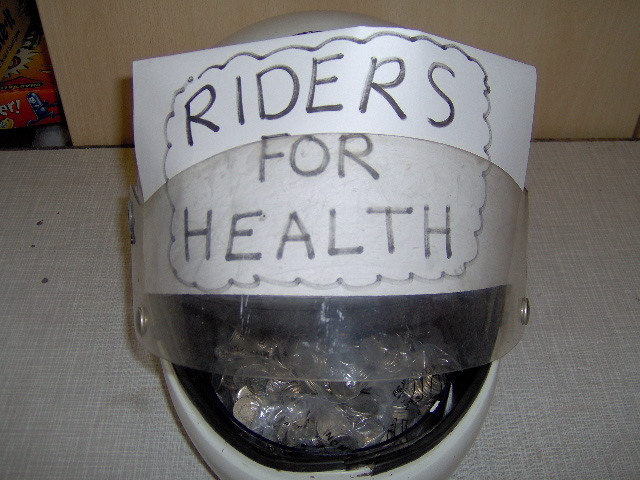 They very kindly offered to raise money for Riders for Health, and have even set up a ‘money helmet’ for collections! Already, the staff and pupils have raised over £100! We love it! Thanks guys!